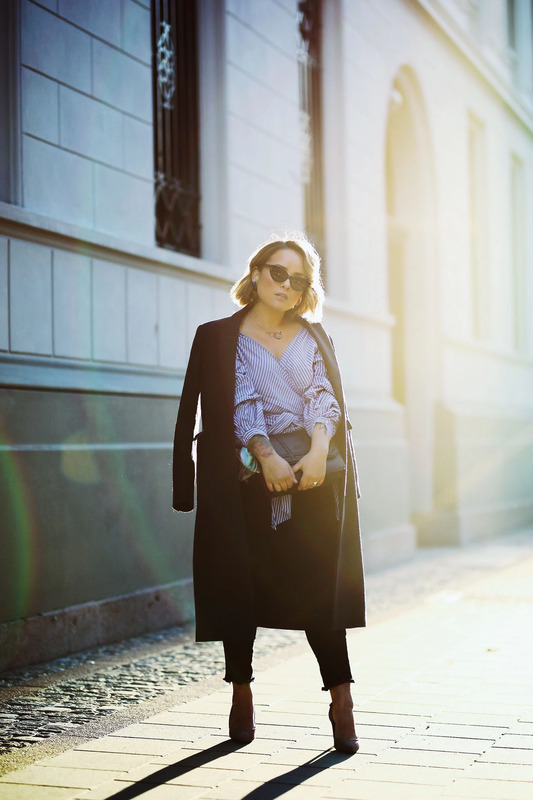 HOW TO STYLE A CLASSIC COAT..
Today I wanted to share this look with you from last week when the weather in Oslo was sunny and more fall-like. During the fall and winter, a good multifaceted coat becomes a mandatory part of my wardrobe. 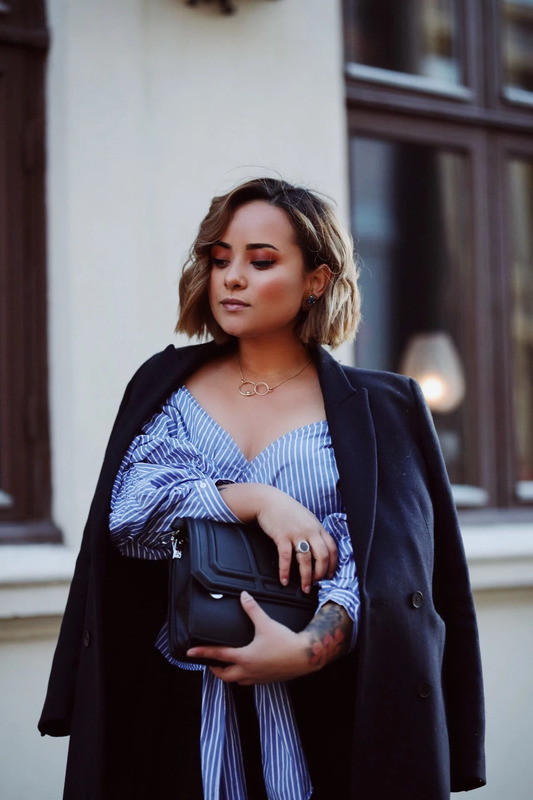 Having the right outerwear that is easy to style in a different kind of weather but is also able to keep me warm when the wind picks up or it starts to rain, is hard to come by. I think that a good dark blue coat is a perfect choice for these unpredictable weather patterns because the color is neutral, fit for early spring, and isn’t too heavy to carry around. Who doesn’t want a jacket that is multi-seasonal and versatile? If it gets too cold, just layer it up! Too warm? Wear with skirts and t-shirts! There is an effortless classy sophistication about this coat from Sandro Paris and it can enhance anything from the classic staples (like a t-shirt and jeans) to an evening dress. The simplicity of the design makes it so that there is never an occasion that you couldn’t wear it.